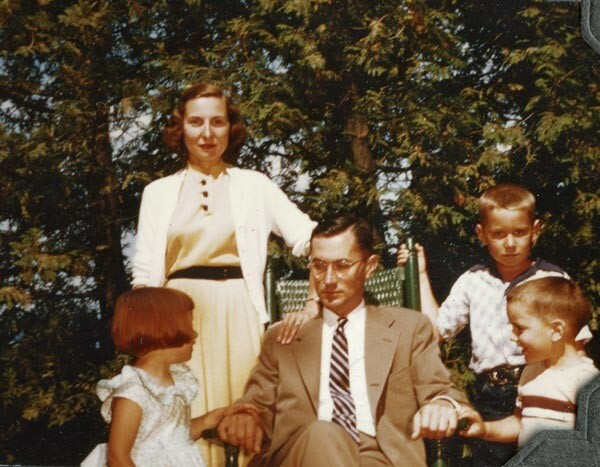 "He was tougher, smarter, smoother, and could be crueler than anybody I ever knew," says Carl Colby of his father, CIA director William Colby, in a voice-over for his documentary The Man Nobody Knew. "I'm not sure he ever loved anyone, and I never heard him say anything heartfelt." It's a remarkably cold assessment of a father by his son, but one suspects that Bill Colby would have accepted it without blinking. A professional spy for nearly 30 years, Colby preferred reality to romance, hard intelligence to hopeful illusion. He also knew how to keep a secret; the bitter irony of his life is that, in the end, his most closely guarded secret turned out to be himself. The Man Nobody Knew, which opens Friday for a weeklong run at Gene Siskel Film Center, operates on two parallel tracks, examining the personal and professional lives that Colby took great pains to compartmentalize. These two stories are what make the movie so fascinating, because they reveal two distinct, and largely conflicting, agendas. Carl Colby sets out to exonerate his father for the notorious Phoenix Program he masterminded during the Vietnam War (it was vilified on the left) as well as for his candid testimony to Congress as director of central intelligence in the 70s (he was vilified on the right). At the same time, Carl mounts a slow, steady, but ultimately withering attack on his father for the way he treated his family. The man revealed at the end of all this is a genuinely tragic figure who may have been betrayed by his country but can also be seen as having betrayed his wife and children. As portrayed in the film, Colby could pass for the protagonist of a Graham Greene novel. He was a devout Roman Catholic and a liberal Democrat, but also a man of action; during World War II he served in the Office of Strategic Services as a special ops soldier, parachuting behind enemy lines in France and Norway. After graduating from Princeton University and earning a law degree from Columbia University, he joined the newly formed Central Intelligence Agency and spent many years in Rome, posing as a State Department officer as he clandestinely worked to undermine communist elements in the Italian political system. Interviewed for the film, his first wife, Barbara, warmly remembers their days in Rome, which gave them the opportunity to raise their children at the epicenter of the Catholic Church. But for Colby the church was also a powerful political instrument whose deep roots in the countryside made it a valuable source of intelligence. Colby's career is particularly worthwhile as a lens for viewing the Vietnam War, and the steady disintegration of the American effort in Southeast Asia pushed him to the limits of his personal morality. Stationed in Saigon from 1959 to '62, he quickly realized that the security vacuum in the Vietnamese countryside was a dire threat to the presidency of Ngo Dinh Diem, and he helped administer the ill-conceived Strategic Hamlet Program, which attempted to protect peasants from communist insurgents by relocating them to fortified villages. Colby had returned to Washington to serve as deputy chief of the CIA's Far East Division by the time of the coup against Diem, and the movie includes audiotape of him advising President Kennedy that the forces for and against Diem were evenly matched. The Colbys had been friendly with the Diem family, and as Barbara Colby recalls, her husband told her during Mass on All Saints' Day that Diem had been killed. Given the muted reaction last month to the CIA assassination of Anwar al-Awlaki, an American-born Islamist cleric living in Yemen, we may have a hard time grasping the controversy that erupted back in 1969 when the public learned about the Phoenix Program in Vietnam. By the time Colby had returned to Vietnam in 1968—leaving his wife and children behind this time—the Tet Offensive had turned the tide of American opinion against the war, and Colby took on the unenviable task of overseeing the new counterinsurgency program. Villagers loyal to the Vietcong were killed, imprisoned, and allegedly, in some cases, tortured to death; more than 26,000 people died at the hands of the Provincial Reconnaisance Units, many of whom were former Vietcong and some of whom were pursuing their own agendas. The brutality of their operations is evident from the movie's archival footage: a headless corpse is dragged across the grass, and soldiers jam ace-of-spades playing cards into the mouths of the dead. As Carl Colby recalls in voice-over, he and his siblings heard antiwar protesters compare their father to Heinrich Himmler. Yet various witnesses come forward in the film to defend Colby. "This was a guy who understood the hardness of life, and war, and what needed to be done against an enemy," recalls Steve Young, a veteran of the program. When he questioned Colby about the ruthlessness of the PRUs, Colby replied, "Steve, the Indians are coming in through the windows. And you've gotta shoot back." Robert McFarlane, who completed two tours of duty in Vietnam (and later, as national security adviser to President Reagan, became a key figure in the Iran-Contra scandal), explains, "It came down to making life better in a given village so that you engendered trust and ultimately gained intelligence from a much more welcoming community. At the same time, when you found somebody that the villagers identified as a bad guy, kill him. Quick."